Please Note: The drop down box sizes relate to the Australia Standard Size Chart. If you know your US size please add a comment in the checkout to let us know your sizing. 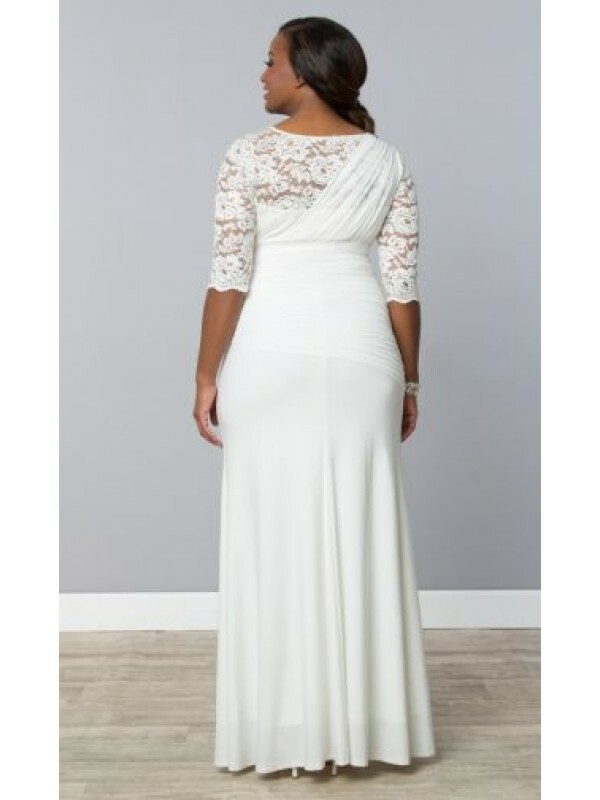 This dress is currently on pre order and will be delivered at the beginning of September 2015. Look and feel amazing when you say your vows in our Elegant Aisle Wedding Gown. This dress is designed with a special faux illusion mesh one shoulder gathering over a beautiful scalloped lace neckline for a unique look. This mesh flows into a flattering and striking asymmetrical drop waist that will have you feeling absolutely exquisite. ​Wedding dresses qualify for free regular shipping within Australia however due to the cost of packaging and shipping, should you return the dress please be aware that the original shipping rate will be charged and deducted from your refund.